Heather Haseltine is a certified Level I and II Crystal Light Therapy Practitioner and chakra healer. She enjoys the combination of touch, crystals, sound and aromatherapies to facilitate chakra healing and balancing and sense of peace in her clients. Crystal Light Therapy embodies the therapeutic use of crystals or chakra stones in massage, bodywork, chakra healing and balancing techniques. Using crystalline energy, the practitioner will facilitate the break up and release of energy blockages within your electromagnetic energy field that may be hindering you from moving forward. CLT is a highly spiritual and authentic body, mind and soul treatment. CLT is a two hour treatment of energizing and balancing bliss and is an investment of $125. 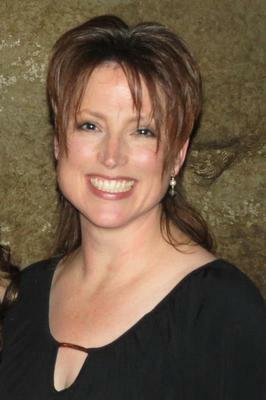 Heather has also developed a body work style called connection massage over the past twenty years using a variety of European, Shiatsu and Reflexology techniques. The unique experience lies within her sacred gifts of intuition and ability to bestow a safe, nurturing and sensual touch. Combining these gifts with the massage, she calmly and lovingly restores chakra imbalances and touch deficits in women and men. A typical connection massage is a nourishing one hour and is an investment of $60. Heather believes in supporting humanity to redefine and embrace their sensuality and need for nurturing touch and teaching the importance of keeping the chakra energy flowing freely in order to connect to a deeper sense of themselves, spirituality and the physical world around them. Body work is the passion of her soul. She considers herself blessed to be able to share her gifts with clarity and gratitude for the dynamic souls that continue to enter her life as clients. You can reach Heather at 250.714.8020 or ateam17(at)telus.net. She offers a mobile service for those that wish to experience the sessions in the comfort of their homes as well as has access to a massage studio, if that option is preferred. Currently she lives and works in Central Vancouver Island but is open to discussing other session arrangements. “I was completely held for two hours in sensual awareness…was different than anything I have ever felt before. I liked the completeness of the massage travelling all over my body. The words of affirmation served to connect my feelings with a powerful thought. I didn’t realize how altered I really was until I finally sat up from the session. You were very right about staying with me as I came back to myself in the world.” – K.L. “Within one or two minutes, I found myself surrendering to the treatment…I felt weightless. I felt at peace, pain free, as well as energized and relaxed beyond belief – all at the same time. I would have this treatment again in a New York minute!” – L.R. “My CLT session with Heather was peaceful and deeply connected. I loved working with chakra stones and essential oils together. Heather creates a safe, fluid healing environment and is a powerful healer. I have experienced massage with her before and the combination of the two therapies connection and CLT was a very profound and integrated experience.” – N.Y.
“I am sooooo fired up, I don’t know what hit me! And I have you and your cleansing, re-energizing magic to thank for all of it. Haven’t been motivated to do anything before now. Been stuck for so long, I was almost thinking there was no way out… until now. “ – S.L.